Our company is very appreciative for Custom Earth Promos hard work on our project. Really helped my company out big time. Love the design and durability of these paper envelopes. They perfectly fit exactly what I needed for my business. Thanks. Eco-friendly product for an affordable price. Thank you guys. Our company is very appreciative for Custom Earth Promos hard work on our project. Love how these products are all eco-friendly! Really helped my company go green! Thank you Custom Earth Promos can't wait to order more! Cool idea for our pharmacy. We try to maintain an organic lifestyle so these were a great addition. Love all of Custom Earth Promos products we order from them on a regular basis. We have these for our post office the customers love them! Earth-Friendly in every sense of the word. Ashley and the people at Custom Earth Promos really went above and beyond with our order. The customization process for these seed paper envelopes was flawless. We own a small stationary store. These seed paper envelopes were a great addition. We also helped the going green cause. Our customers were seriously impressed with these envelopes. I sent out an email explaining them, and everyone was really appreciative. Such a wide variety of colors, my logo looks amazing on these seed paper envelopes. 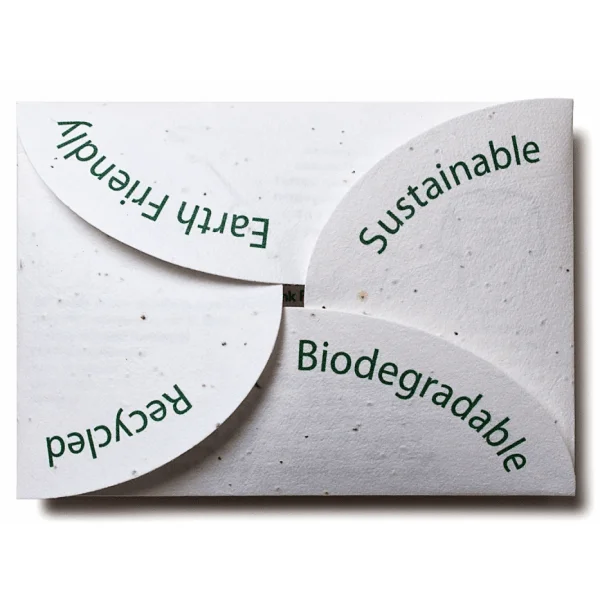 Great that these seed paper envelopes are 100% recyclable and Eco-friendly. Loved the process of customizing and getting creative with my seed paper envelopes. A classy eco-friendly way to impress clientele. We couldn't be happier with the finished product. Great price and delivery was on point. Our customers loved the premise behind these seed paper envelopes, when explained. 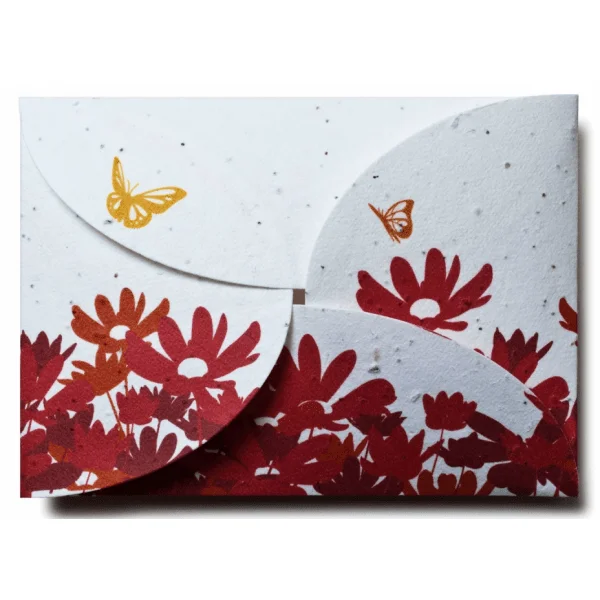 Our rose-shaped folding Seed Paper Envelopes are the perfect package for your eco-friendly message, ready to be recycled into a wildflower garden. 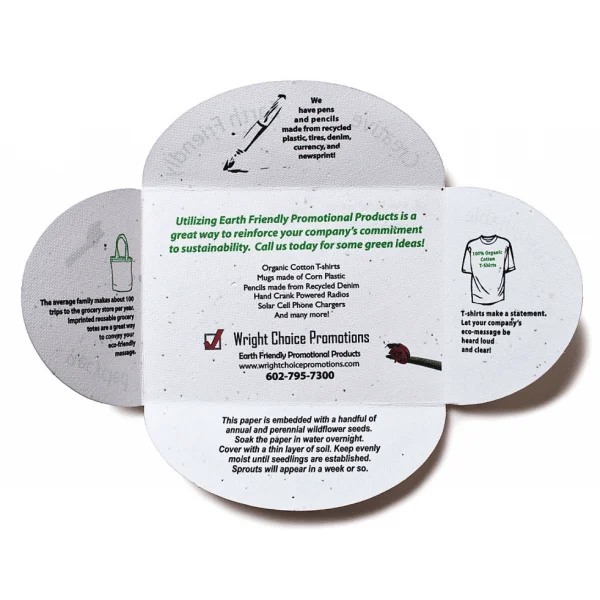 A Custom Earth Promos design expert will custom tailor your design to promote a current campaign, specific message or simply further your reach as an established brand of eco-responsibility. We'll work together to create an all-natural product you'll be proud to have supporting the eco-awareness of your business. Your brand aesthetic, design goals, order quantity, and potential time restraints will all be considered as we mock up your design blueprint for the 6.125" W x 4.375" H envelopes. 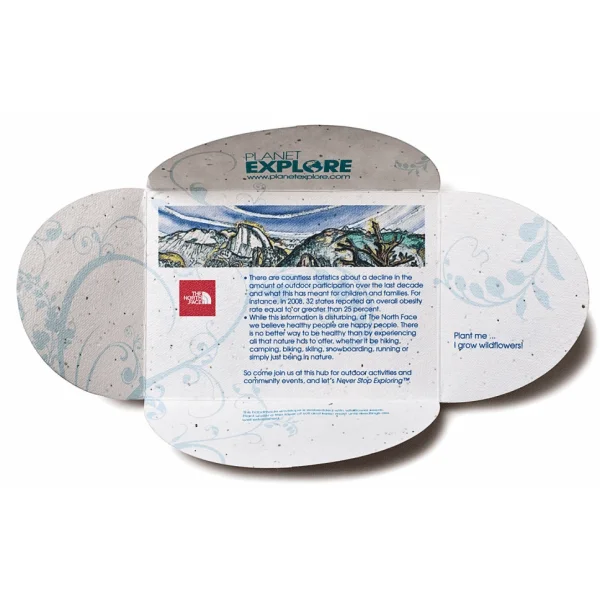 Customize your seed paper with over 20 vibrant colors or print a custom graphic in full color using our product template. 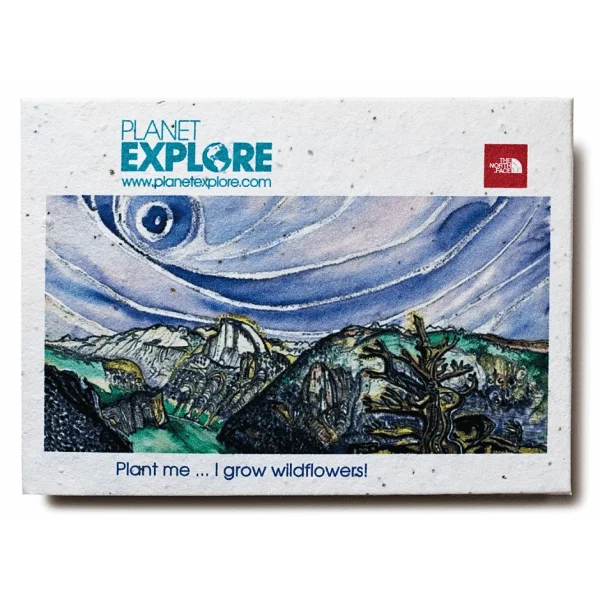 Promote your "green" standards and sustainable initiatives within the envelope and surprise your customers with the bonus gift of a wildflower garden. Build brand trust and eco-responsible brand value with seed paper envelopes that are planted in their entirety, flourishing into living reminders of your message and ethical standards. 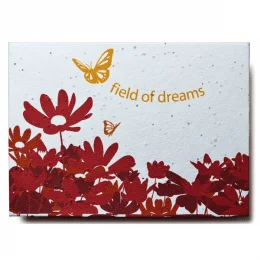 When moistened overnight and planted under a thin layer of soil, your envelopes are guaranteed to grow into wildflowers that benefit the ecosystem and bring joy to your customers. The big "green movement" is undeniably in full swing. Since the turn of the century, we've seen a perpetual increase in the amount of consumers showing interest in sustainability. When making buying decisions, modern day consumers are relying heavily on the "green" standards of brands competing for their business. Eco-friendly brands grew 4x as much as their less sustainable competitors in 2015 and investment portfolios are reflecting higher returns on stocks of renewable energy and eco-responsible brands. With numbers on the rise, brands must respond to this consumer demand and invest in their eco-friendly image now to secure success down the road. The demand for ethical policies and products has never been greater. Businesses serving healthcare, hospitality, education, construction, retail, luxury, specialty item and virtually every other sector have a stellar opportunity to establish themselves as eco-friendly industry leaders. 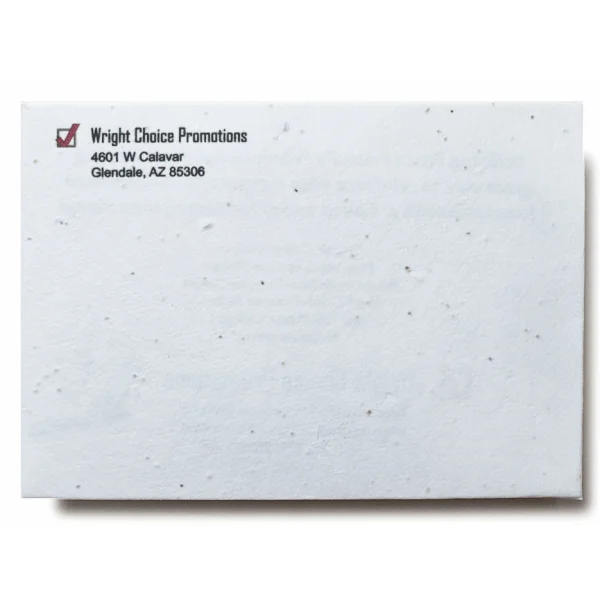 Launch affordable, effective campaigns, with items like our Seed Paper Envelopes, to publicize the sustainable initiatives and ethical standards of your business. Build the eco-aware association of your brand to secure higher sales, brand trust, long-term profitability and market share value. We strictly adhere to the requirements of California Proposition 65, which means all our products are free from harmful metals and chemicals. Seed Paper Envelopes from Custom Earth Promos are handmade in the USA, using only recycled products and solar power for production. A pulp of 100% post-consumer recycled paper is infused with USDA-approved, non-GMO, highest germination rate wildflower seeds. The infused pulp is laid out to dry in sheets at our 30 kW solar power facility. Whether we color your eco-friendly envelopes entirely or render a full graphic imprint on white seed paper, only all natural, soy-based pigments are used. This ensures only natural products go into your envelopes and that they are entirely safe for the environment and your customers. We employ a proprietary printing process to guarantee the maintained integrity of our high germination rate seed paper. With inkjet spray technology, we are able to render a vivid and bold display without compromising seed germination. 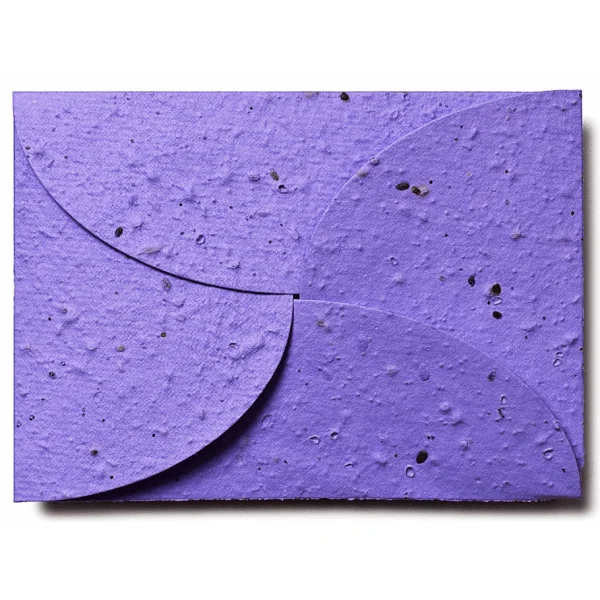 Seed paper envelopes can be dyed with any of our 21 colors or matched to a specific pigment. Just send your design expert an uncoated PMS color or a printed representative sample. As we use only natural pigments to color our paper, brighter hues are more difficult than earth tones to match precisely. We'll work with you to explore other customization options, including vintage letterpress printing. Our vintage letterpress machines stamp your desired pattern directly onto the eco-friendly envelopes. This embossed image is a great way to provide a complement to the richly textured seed paper. We can even customize your order with a custom seed mix, such as "Evergreen Mix" for winter or the "Hope Mix" of pink annuals and perennials to support breast cancer awareness. Just ask your Custom Earth expert which custom seed mixes are available for your order!